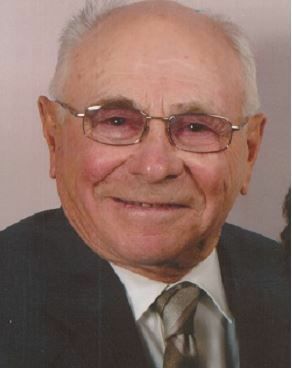 Walt Mangnell, 95, of Albany, passed away at his home. The son of Werner and Thea (Grothe) Mangnell, he was born in Havre, Montana, where his parents homesteaded. Eventually they moved to the Thief River Falls, Minnesota. During his time in Minnesota, he farmed with his dad and drove a gravel truck. He also worked in lumber camps. He married Helen Hoffman on Nov. 2, 1946. In 1949, he and Helen, along with extended family members, decided to adventure to California where he farmed and raised livestock. He also worked for a construction company. In 1957, Walt and Helen made their way to Albany (Dever-Conner area), which was their home for 50 years. Walter began his own construction company and built many, many homes in Albany and the surrounding area. He also built many buildings for farmers in the area. One of Walter’s proudest achievements was the construction of the Dever-Conner Church. Walter and Helen enjoyed traveling, camping and fishing. After retirement, they spent late summers and early fall near the Oregon coast salmon-fishing. For 30 years, they enjoyed the coast, and the time they spent with their fellow fishermen. They also traveled to many famous sites in the Western United States and Canada. Reno was one of their favorites. They also enjoyed visiting family and friends near and far. Walt was preceded in death by his sister, Genieve Blackstead. He will be buried at Willamette Memorial Park in Millersburg. Services are pending.